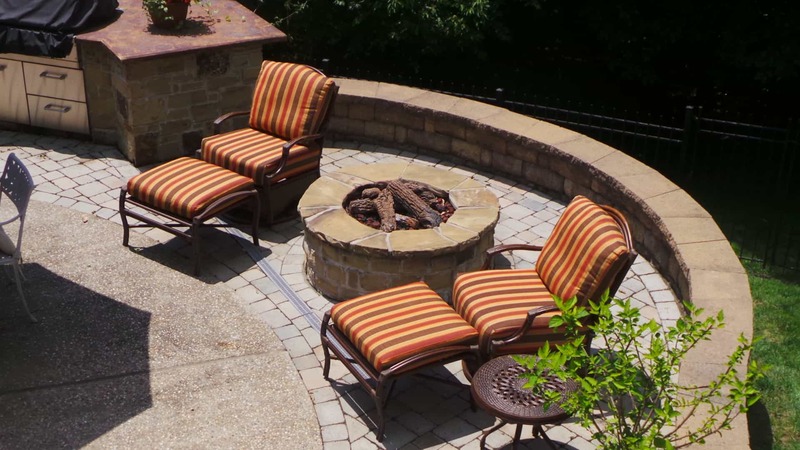 Our customer requested a Tuscan inspired fireplace, outdoor kitchen on the upper level patio, small outdoor kitchen and fire pit for the pool area and ample screening for the narrow back yard space. 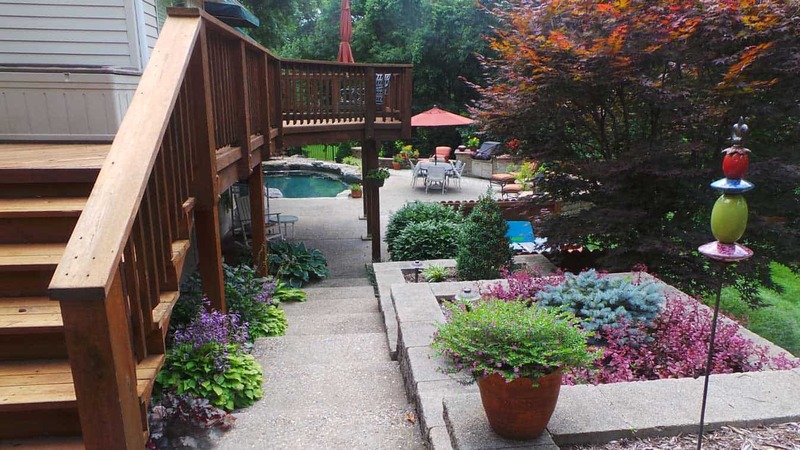 They also wanted to replace their pergola with a covered porch. 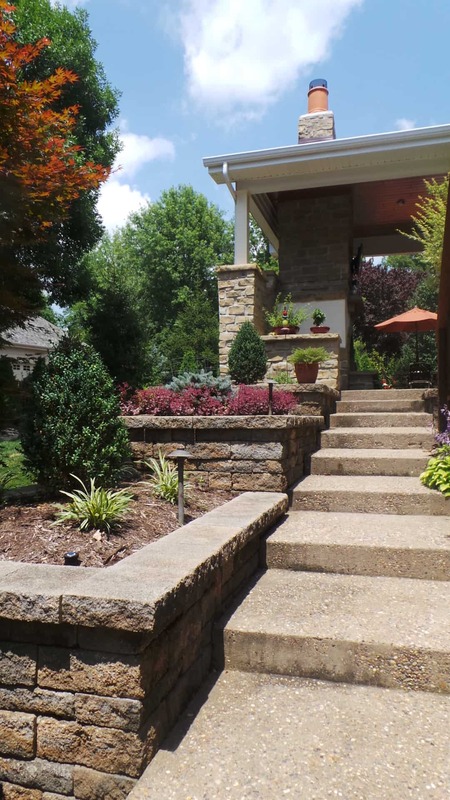 We designed a stucco and stone fireplace with stone fire boxes and stone walls to help add privacy. A covered porch was installed around the fireplace and tied in with the existing house structure. 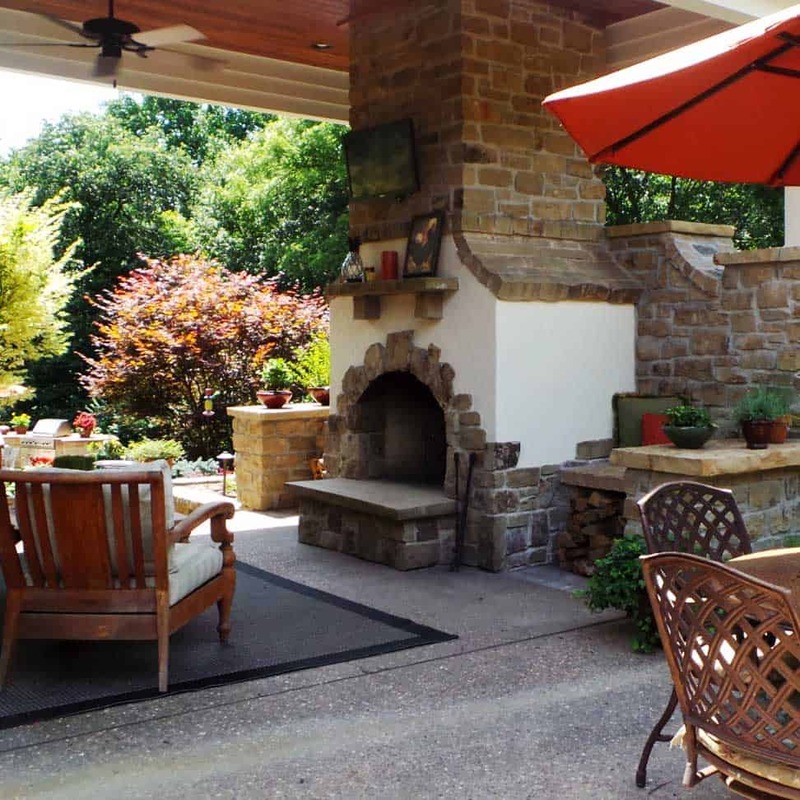 The upper outdoor kitchen with natural stone was designed to allow for barstools and outdoor grilling. The existing concrete patio remained, however new pavers were added to expand the patio space around the kitchen with a path to the side gate. A bubbling boulder water feature was added for visual and sound attraction. 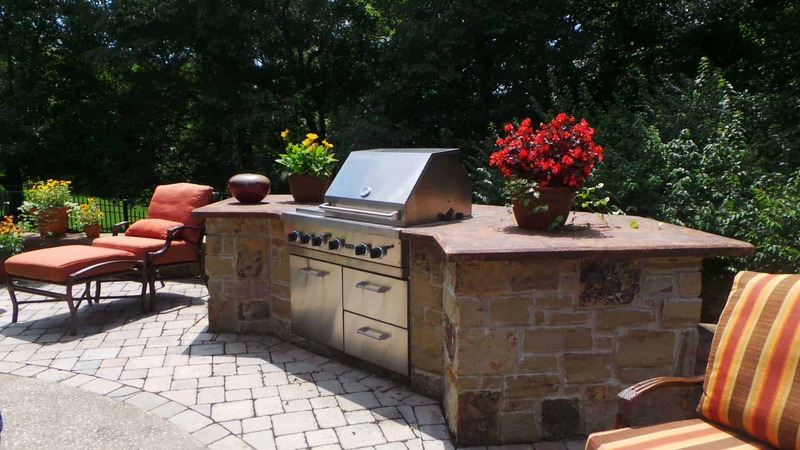 For the lower outdoor kitchen, a natural stone grilling center was added. A retaining wall was needed to support the new outdoor grilling center and fire pit at the pool level. To avoid the need for a fence, a seat wall was added flanking the outdoor grilling center. 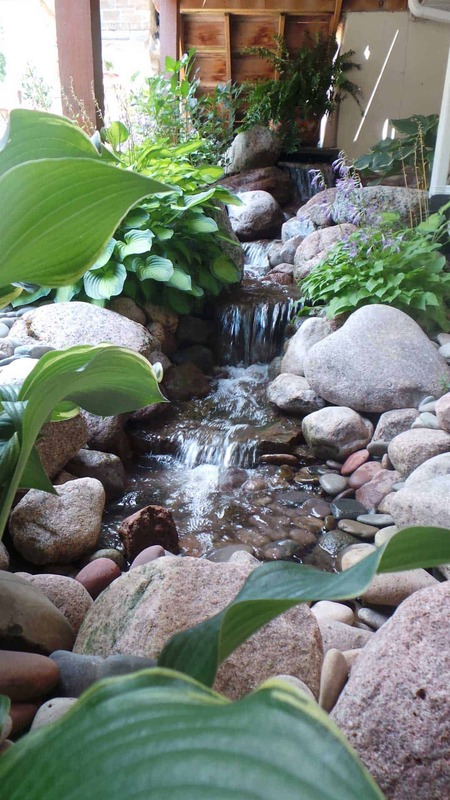 In the small area between the house and walkway a pondless water feature was installed bringing life to an otherwise dull space. 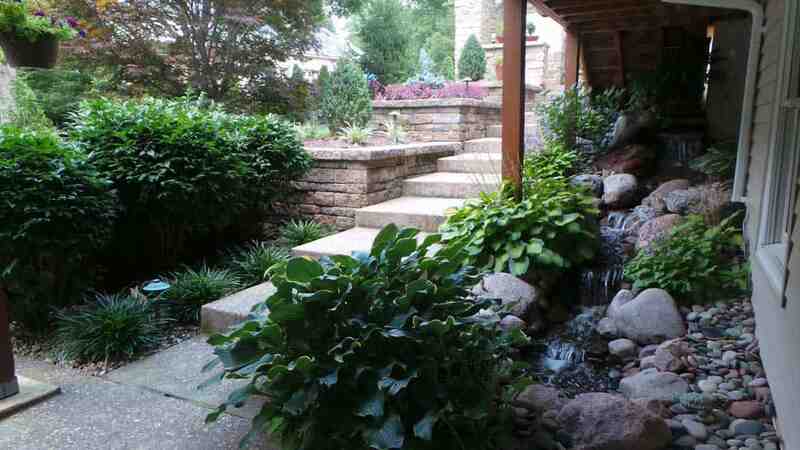 A layered evergreen plant border was installed using a variety of evergreen trees and shrubs for maximum year round privacy. We have lots more to see.